I had been trying to think of a creative gift to give to the kids in my child's pre-school class, until this idea popped into my head yesterday morning. Most of the children are girls, so I thought a pretty little hairbow would fit quite nicely. 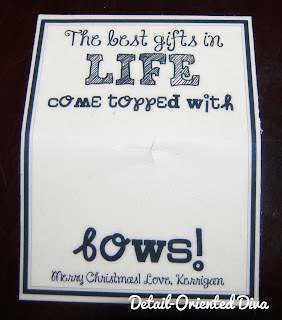 I came up with this little diddy: "The best gifts in life come topped with bows!". My reasoning for this is that my child is one of the greatest gifts I have ever received and she never leaves home without a bow in her hair. 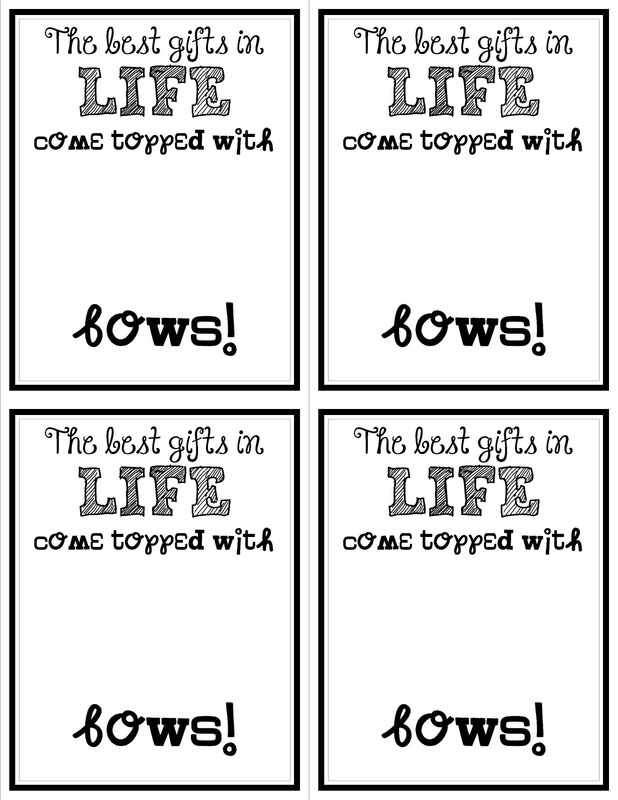 I simply designed this printable and printed it out on recycled cardstock. 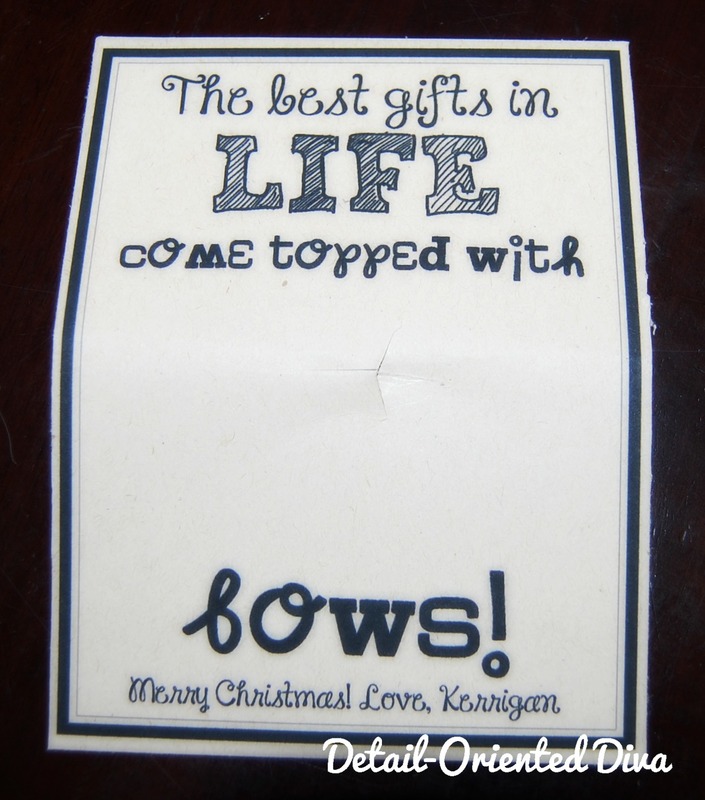 I cut each one out and then made some slits in the center for the bow to slide into. 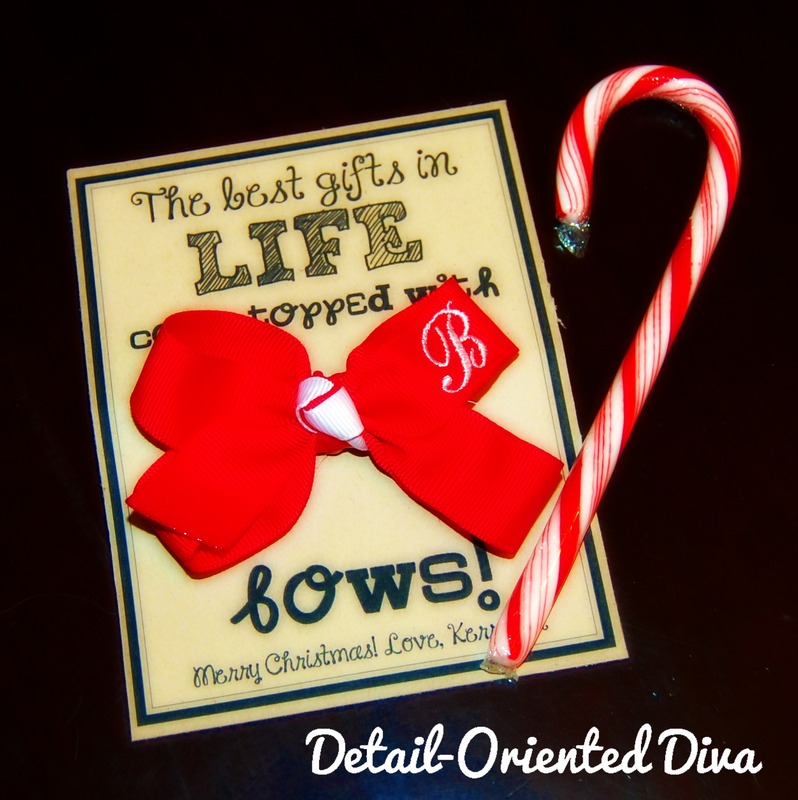 I could have been really crafty and made my bows too, but opted to just buy these one's with the initials already on them. 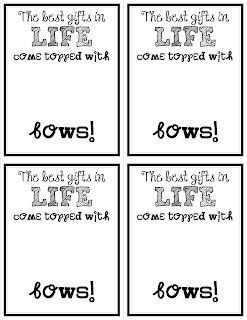 Free-printable link for blog subscribers here. What did you do for the boys in the class? There is only one boy in the class and I had originally planned to give him a cute Christmas bowtie, but could not find any. I ended up giving him a stuffed animal with a different card. So cute! What a great idea! :) Thank you for sharing!